So, today, chimerical things are those that strike us as fanciful, imaginative, and whimsically bizarre. A synonym of chimerical is L_p_t_n. Can you recall it? It's also from literature, this time from Jonathan Swift's Gulliver's Travels, and it means "extremely absurd and impractical." 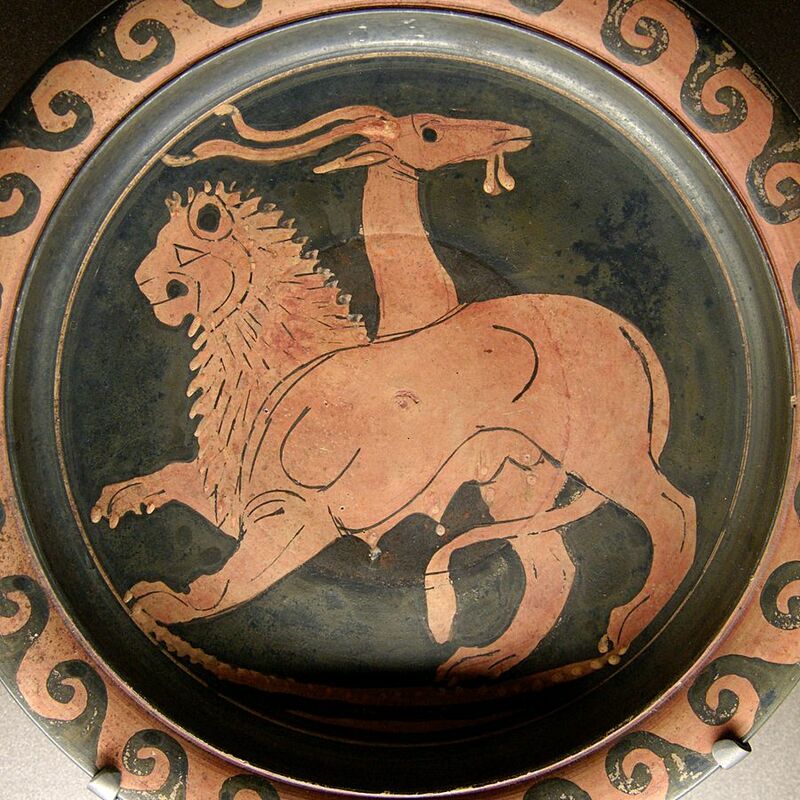 A chimera ("ky MARE uh" or "ky MEER uh") is a mythical beast that's part lion, part goat, and part snake. And so, more generally, a chimera can also be any fanciful, unrealistic idea, or any strange combination of things. Something chimerical, then, is fanciful, unrealistic, or both. 1. Right before a noun, as in "a chimerical thing" or "a chimerical person." Chimerical things can be either wondrously imaginative or foolishly impossible, so the tone of this word can be positive or negative, but it's negative a great deal of the time. Talk about chimerical people, animals, creatures, personalities, ideas, goals, plans, dreams, desires, expectations, prospects, delusions, processes, and creations (like artwork, novels, songs, and devices). Because the chimera from Greek myth was part lion, part goat, and part snake, it's especially appropriate to talk about chimerical blends, combinations, alliances, etc. Finally, you might say that something has a chimerical quality or appearance. The notion that I'd be in and out of Wal-Mart with everything I needed in ten minutes, tops, was a chimera. That place is an unholy mess. Look away from the screen to explain the definition in your own words. You’ll know you understand what "chimerical" means when you can explain it without saying "unfounded" or "fantastical." Fill in the blank: "It's chimerical to expect (a certain thing to happen)." Example: "It's chimerical to expect the war to end swiftly and victoriously." From our previous issue: The obverse of something, such as a coin, is the front side. What’s the opposite? 2. According to National Geographic, as part of a mission to make human organs more available to patients who need them, researchers create "chimeras" by _____.